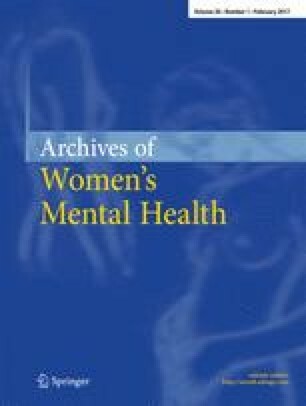 This paper presents an overview of a combined, evaluated protocol, cognitive behavioural and art therapy treatment (CB-ART), for the treatment of women with perinatal mood and anxiety disorders (PMADs). The protocol integrates cognitive behavioural interventions and art therapy. CB-ART focuses on changing distressing image, symptom or memory (ISM) that interferes with functioning. The method directs clients to identify compositional elements that characterize their stressful ISM and to alter the element in their imagination, in bodily sensations and on the page. Examples are provided to illustrate the therapeutic process. An ISM can be described visually using shape of objects, number of objects, location on the page or in the body, colour including black and white, size (big/small), degree of brightness/darkness, blinking/steady in place, near/far away, till/moving picture, framed or without a frame and focused or fuzzy. An ISM can relate to sensations that one feels in the body including texture, pressure, temperature, size, intensity of sensation, still/moving, pulsing/throbbing and constant/intermittent.